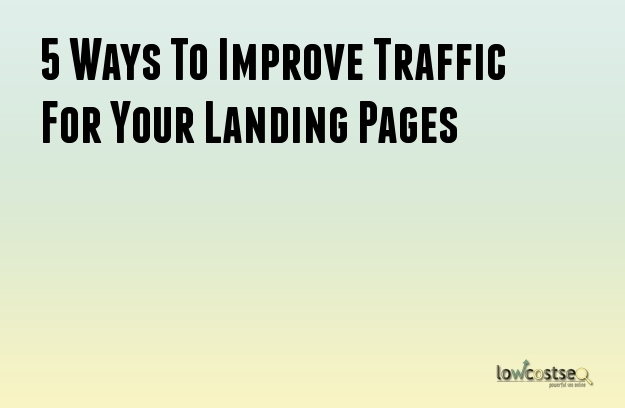 Landing pages are an important part of any website. From the perspective of an SEO agency, landing pages are the pages that should be the most visible. More specific pages, such as product or service pages, often have less traffic but a higher click through rate. This is because they often represent long-tail keywords and users that have already made the mind up. Landing pages, on the other hand, can be much more broad. So, here are 5 ways to boost the visibility of your landing pages on Search Engine Results Pages (SERP), as well as boosting their traffic when they are seen. All pages serve a purpose and, as far as searching is concerned, this means answering a query. When a user looks for a “clothing shop” your landing page should make it very clear that you are, indeed, a clothes store. From the search results, they need to see this in the relevant meta data, for instance. As pointed out by Google itself in a presentation last year, the relevant to the original query is an important metric. Speaking of metadata, the title tag is one of the most important. This is often what the user first reads so, if this doesn’t make the connection, they might not read the rest. If your site is a business or service, this should be clear. If its providing information on a particular topic, this should also be clear (very specific pages could even have a question as their title). Remember that Google’s title tags are no longer based on characters, but the overall pixel length. Because of this, you should use a SERP preview tool to ensure you’re making the most of the potential space. At the same time, your titles (and subsequent meta description) should be compelling. There are many ways to do this, such as using lists. Numbers make a good impression on users as, if you offer “15 new recipes to try this summer”, people know exactly what you’re offering. Think of your title like a newspaper… it needs to be headline that makes people pick up the rest of the product. This means giving people enough to know what is on offer, without satisfying their thirst. If you simply give the answer in the meta description, you might simply lose clicks through fulfilling this need to early. This year, especially, is the year where we get into granular updates of Google’s search algorithm. So, it’s more important than ever to keep regularly tracking your important pages. For landing pages, this should involve some sort of weekly to check-up, to see if the SERP position is improving or not. Likewise, the traffic, click-through rate and overall impressions should also be monitored. This can tell you how effective any changes were or, if the results don’t improve, that more changes should be experimented with. SEO is an ever changing landscape, so results won’t always stay the same. Link-building is not about the most links, but often the best ones. Quality counts. It’s worth taking the effort to establish links from relevant websites with their own authority. Not only will this help with your SERP rankings, it also draws in a potential audience from that website, too. However, much like the overall SERP results, link-building is an ongoing process. You should be both actively building new, strong links and removing any negative ones that appear. While Google has reduced the penalty for bad links, they are still harmful and should be avoided where possible.